~ PTSDog STILL NEEDS YOUR HELP! Links From Agents Of S.H.I.E.L.D. We interviewed Doctor Howard Waitzkin About His and His Team's Research They Conducted With Active Duty Service Members To Better Help Address The 22 A Day That Is Truly Plaguing The Military & Veteran Communities. ~ PTSDog NEEDS YOUR HELP! ~ What Is The Ride For Ronnie And How Can You Meet Alice Cooper's Daughter?? ~ You Have A Chance To Win Two Contests!! Hey! 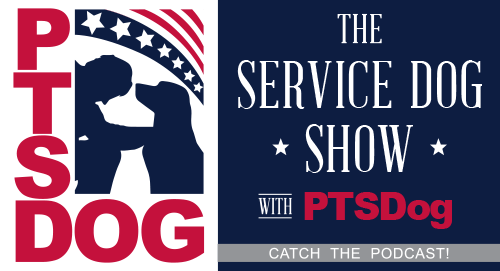 Would you like to help publish PTSDog, and win a guest appearance on Barracks Talk and The Service Dog Show with PTSDog? PTSDog needs to raise $1000 more in order to publish the book! If we raise the money by April 28th, the top three or last three donors, depending on which happens first, will be guests on both Barracks Talk and The Service Dog Show with PTSDog! PTSDog [Joaquin Juatai] Speaks with Nevermore About Veteran Suicide, Issues Created by the Media's Lack of Clarity in its Portrayal of Service Dogs in the News, Service Dog's From A Retail Store's Perspective and Much More! DV6 & Recoil Had A Better Way Of Doing A "Show" Rather Than Having An Actual Show Since Bo Was Dying, Google Felt Bad And Marquis Decided To Work Night Shift.